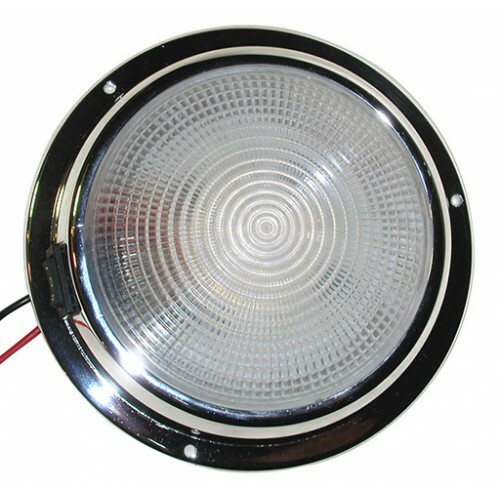 The Mars Dome is a general purpose, surface-mount light fixture with blue/white lights for night use, with the added benefit of LED technology. 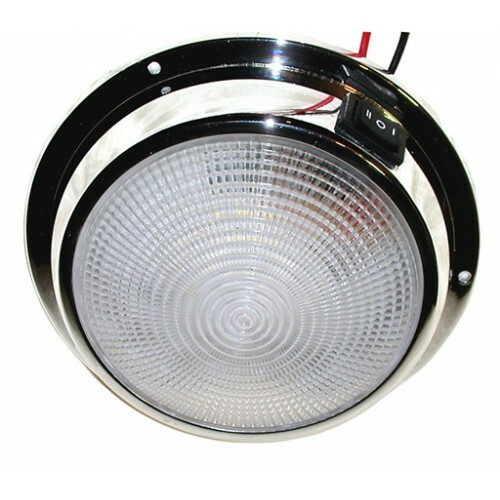 These lights produce a warm white light and are fabricated from the highest quality components to assure long life and trouble-free functioning. Their patented internal circuitry provides consistent brightness and makes them immune to life-shortening voltage fluctuations. Their incredibly low power draw makes them the perfect way to reduce energy consumption on your boat. Latest high-power LED technology provides high lumen-per-watt light, out performing other dome LED lights. #1 US CREE LEDs, 250 Warm Whtie 2700 K Lumens.